Properly maintaining and repairing your commercial roof will help prevent major problems. 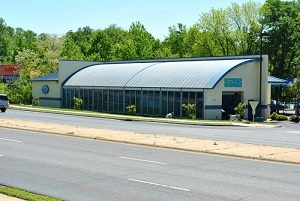 Roofing problems are a dreaded but important part of maintaining a commercial property. So much depends on a safe, effective roof that can protect your business, customers, employees, and products from the weather. Wind, sun, storms, and extreme temperatures all pose a threat to commercial roofing. When you invest in regular roofing maintenance from GSM Services' Roof SHIELD, you're much less likely to need repairs. Catching problems before they catch you saves time and money and is less likely to be disruptive to your business. If you can extend the life of your roof and roofing materials, you will be protecting an investment that could last for years to come. The best defense is a strong offense. Business owners are familiar with this concept in more ways than one. The same mentality that helps creative and smart business owners problem-solve also helps Roof SHIELD technicians keep your commercial roofing in good shape with inspections, maintenance, and repairs. Many businesses are reluctant to bite the bullet when it comes to commercial roofing repair, but maintenance and evaluations from qualified technicians can make a huge difference. The longer you delay, the greater the chances that potential problems will escalate. For instance, the early damage from a small, hard-to-spot leak will be very minimal compared to the extensive roofing disaster that might arise if you let this situation go unchecked. Don’t let anything slide when it comes to commercial roofing repair. Structural damage can quickly become extensive; the cost and inconvenience of replacing a partially collapsed roof will have you longing for the days of a small, contained leak. Roof SHIELD technicians at GSM know that the last thing business owners want to deal with commercial property maintenance. But it's got to be done. That’s why we provide such cost effective evaluation and maintenance plans to keep your repairs to a minimum. Call GSM today at 1-844-691-4184 to schedule commercial roofing repair services for your business in Gastonia, Mount Holly, Fort Mill, Huntersville, Hickory, Matthews, Denver, Gaffney, Lincolnton, Rock Hill and the nearby areas to keep profit leaks at bay.